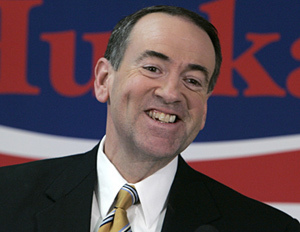 I don't think Huckabee's version of foreign policy makes a whole lot of sense. Asked whether the American commanders on the scene were right in not attacking the Iranian boats, Mr Huckabee said he backed their decisions, before warning Iran: "Be prepared, first, to put your sights on the American vessel. And then be prepared that the next thing you see will be the gates of Hell, because that is exactly what you will see after that." Worse than his version of foreign policy is his version of Christianity, which seems to entail condemning enemies to eternal damnation. Not quite the Christianity that the bible teaches. And this gets even more tricky when you consider that the Iranian-US showdown might not have been as serious as the media portrayed. GARETH PORTER: If you look carefully at the transcript, which was not reported accurately by the media, or not reported at all practically, the commander-or rather, Vice Admiral Cosgriff actually makes it clear that the ships were never in danger, that they never believed they were in danger, and that they were never close to firing on the Iranian boats. And this is the heart of what actually happened, which was never reported by the US media. GARETH PORTER: This is the point, again, that the commander of the 5th fleet made very clearly. He was asked by reporters whether the commanders were close to firing on the Iranian ships, and he said, "No, that was not the case," that at no point were they about to fire on the ships and that they did not feel threatened by the Iranian boats. 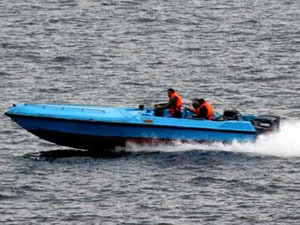 Bear in mind, what has not been reported by the media, that these are essentially small speedboats that are at most armed with machine guns, not with any weapons that were capable of harming those ships. So, we potentially have a non-threatening situation, involving the military of a people with whom we have no actual conflict, and Huckabee is ready to send them to hell. When I first watched this video the other day I immediately thought of the Gulf of Tonkin. Turns out we fired on them. This thing screams "False Flag." The thought of this guy as president is really, really scary to me. Fortunately, I don't think he'll make it that far. I hope. I really hope. So you don't believe in eternal damnation? Neither do I (at this point), and I'd love to hear why you don't. No - I do. I don't know that the text allows for a lack of such a thing. But I certainly don't think Huckabee has a good handle on it. According to my read on the text, eternal damnation is specifically reserved for the devil and the angels who fell, and also for the "brood of vipers" that Jesus calls out for their wickedness. But I have to wonder if Jesus is talking to them as individuals, or to the wicked spirits that lead them. For example, when Jesus tells Peter, "Get behind me, Satan," to whom is Jesus refering? If Jesus is talking to Satan and at the same time directing his attention to the words that came out of Peter's mouth, I suppose there's an argument to suggest that any time Jesus condemns "the wicked," it's not the people, but rather the spirits. Judas is called "son of perdition," and Jesus states that all have been brought in, except for the betrayer. Is Judas at fault? Or are we again talking about Satan, who is truly the betrayer? It's all very interesting. I think it's something to explore. And I don't think that's just because us "liberals don't take the Bible seriously"
I should stop there lest I hijack your blog. i do have my own. I think that the whole "God's standard" is terribly dangerous. Scoped to Jesus' messages on the kingdom of heaven, I think the idea of creating an earthly kingdom of God is heretical.